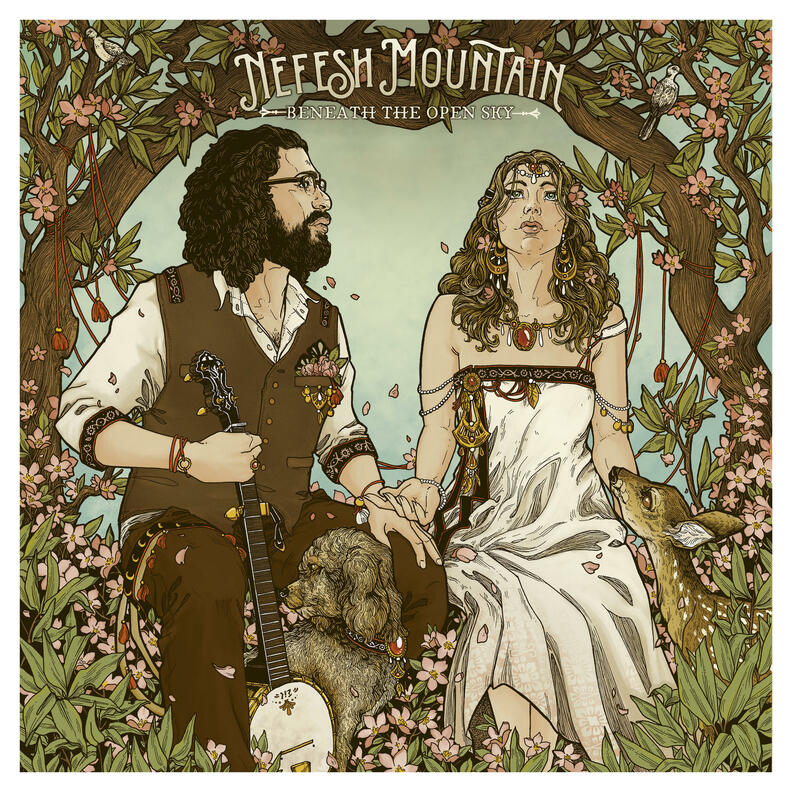 There’s abundant agreement that Nefesh Mountain are part of what’s good and okay in the world of roots music. Zasloff and banjoist/guitarist Eric Lindberg were both working musicians when they fell in love. About four years ago, they were coaxed by a friend into formalizing their nascent duo experiments and the band was born. They’ve released two albums so far. The second, Under An Open Sky, pulled in special guests like Sam Bush and Jerry Douglas and earned widespread praise. They’re not the first to fuse Jewish and bluegrass music. Mandolinists Andy Statman and David Grisman have been one prominent example. But doing so as a formal group is pretty novel, and Lindberg says it comes from he and his wife sharing an interest in spiritual horizons. Bluegrass has been on its own journey of discovery in recent years, actively courting groups that have historically been left out of its music scene. When Zasloff saluted diversity on stage, it was a nod to Rhiannon Giddens’ keynote address of the prior year where she said bluegrass was born from many strands of American life and only later became codified as white, Southern and Christian. Lindberg says it’s a thrill to be part of a return to roots that is also a return to true diversity of faith, outlook and background. Also in the conversation, you’ll hear a detailed account of how Nefesh Mountain took a banjo and bluegrass singing to Pittsburgh in January for a cathartic concert of healing in the wake of October’s Tree of Life Synagogue massacre. It’s a remarkable moment for the genre and for artists who clearly have much more exploring and boundary crossing to do. The song that got them invited to that ceremony is below in video performance.